Crossover shoppers interested in a full-size Kia model will have their choice between the two-row 2019 Kia Sorento and the three-row 2019 Kia Sportage. 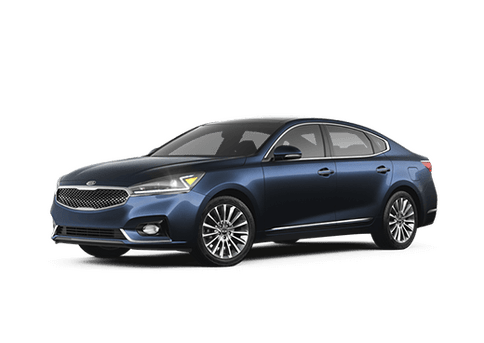 Both models come backed with Kia’s 10-year 100-mile warranty and plenty of standard convenience and connectivity features that make both a good choice. Though, because of their size difference, they will likely appeal to different drivers. Learn more about the interior space offerings for passengers and cargo in each model below or head straight to the new Sorento and Sportage inventory available now at Moritz Kia via the link below. Passenger hauling and cargo space needs will likely drive the decision between the 2019 Kia Sorento and 2019 Kia Sportage. The 2019 Kia Sportage fares a little better in terms of purchase price and fuel economy, so, in general, crossover shoppers will be able to save a little bit of money when buying a similar trim level on the 2019 Sportage compared to the Sorento lineup. However, the 2019 Sportage only has room for up to five passengers and also has a smaller overall cargo space area when all seats are folded flat. So, if you have a large family or need more than five seats for carpool duties and family visits, the 2019 Kia Sorento is going to be a better option. In terms of amenities, trim levels, and technology offerings, the 2019 Sorento and 2019 Sportage lineups are going to be fairly similar. Both lineups should have plenty of options and configurations for drivers to find the mix of added safety and amenities that meet their needs with plenty of budget-friendly options too. For a more in-depth look at what the 2019 Kia Sorento and 2019 Kia Sportage have to offer, visit the Moritz Kia dealership in Fort Worth, TX and one of our team members would be happy to show you each model in detail.